FYI matches your brand with the best performing influencers and micro-influencers, with the aim to generate the highest return on investment. Not only do we source the best performing influencers who match your exact requirements, we also execute and manage the outreach campaigns from start to finish, so you can focus on what you do best. Using our network of over 100,000 influencers in the UK and over 20+ million influencers across the globe, combined with our paid amplification methods, we're ready to make a big impact. Influencer marketing focuses on using key social media influencers and thought leaders who have a trusted voice to drive your brand’s message and inspire action amongst your target audience through authentic storytelling and influencer generated content. Reach millions of people and increase brand awareness by tapping into trusted voices of influencers in your sector. 54% of purchasing decisions are caused by word of mouth and influencer marketing allows you to take advantage of this. Inspire engagement and sharing of your message by tapping into the relationships that have already been developed between the influencer and their audience. 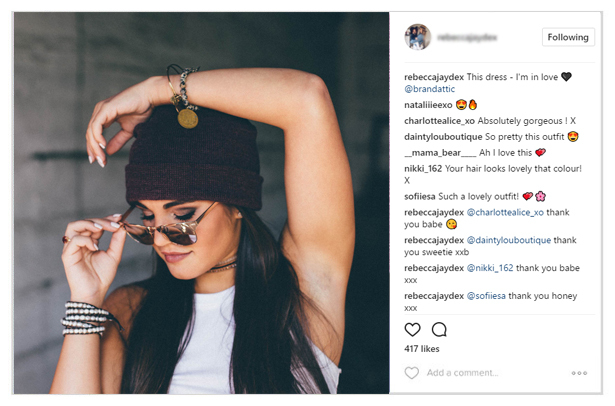 Branded created ads are only trusted by 1% of millennials, meaning authentic content from social media influencers is essential. It's our aim to provide a tailored service, listening to your requirements and objectives, ensuring we find the perfect influencers to match you with the right network that resonate with your target market. Take a look at some of most popular markets.